Opened in 2014, this café offers live Hawaiian music that lets you get away from everyday life. 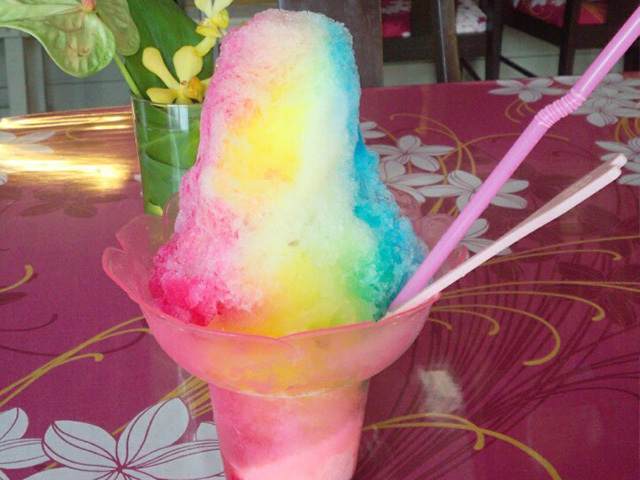 Their shaved ice on a hot sunny day is simply divine! 10-minute drive from Cape Zampa. 7-minute drive from Yomitan Bus Terminal. Tropical Plants welcome you at the entrance, and the furniture, music, and pictures in the cafe are inspired by Hawaii. 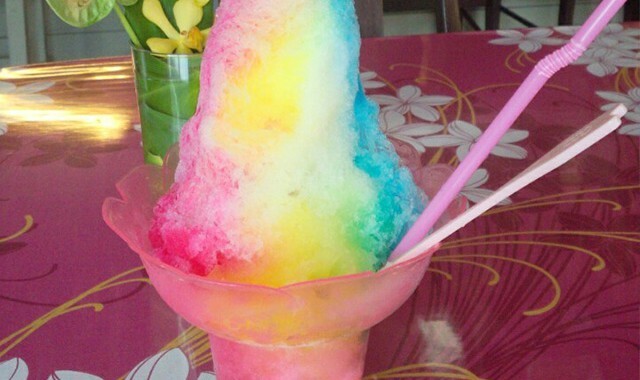 Their fluffy shaved ice is highly recommended! Terrace seats are perfect for divers to take a break in their wet suits after marine activities.